Super Bowl Champions, Tampa Bay Buccaneers are all set to storm the football grounds once again this season. The celebrated American Football club has been enthralling fans for over thirty five years. Comprising of exceptionally skilled players, the Tampa Bay Buccaneers will be aiming for another winning season this year. The team will play against some of the most competitive clubs at home and away fields. The fans can witness Buccaneers live this season at the Bank of America Stadium, Georgia Dome, Gillette Stadium, Meadowlands Sports Complex, Sun Life Stadium and Buccaneer's home field Raymond James Stadium. Established as an expansion team in 1976, the Tampa Bay Buccaneers were initially a part of the American Football Conference. The team played its inaugural season in the West Division of the AFC. The following year, the Buccaneers switched Conferences with another 1976 expansion team, Seattle Seahawks. The club began playing in the Central Division of the National Football Conference. After playing for twenty four seasons in the NFC Central, the Buccaneers joined the South Division of the NFC, competing against teams such as New Orleans Saints, Carolina Panthers and Atlanta Falcons. The Tampa Bay Buccaneers have appeared in ten playoffs. While playing for the NFC Central from 1977 to 2001, the team managed to win three ‘Divisional Titles'. After moving to the Conference's South Division, the club bagged three more ‘Divisional Championships'. In 2002, the Buccaneers won the ‘Conference Championship' for the first time after defeating the NFC East Winner, Philadelphia Eagles. The Buccaneers then advanced to the Super Bowl Championship game where they faced the AFC Champions, Oakland Raiders. The Buccaneers defeated the Raiders at the Qualcomm Stadium to win the Super Bowl XXXVII. Since their inception, the Buccaneers played home games at the Tampa Stadium for twenty one seasons. For the 1998 season, the team switched to the Raymond James Stadium and continues to play home games at the $230 million dollar facility. Opened in 1998, the Raymond James Stadium is currently owned by the Hillsborough County. The stadium has a seating capacity of over sixty-five thousand. It has hosted several Super Bowl Championship games over the years. The multi-purpose facility is also home to NCAA's Outback Bowl and NCAA's USF Bulls. 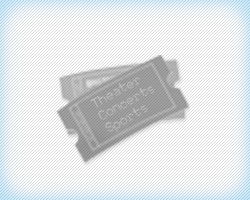 Watching Tampa Bay Buccaneers play live is a thrilling experience for all football lovers. The Buccaneers' home games attract thousands of fans every season. The players exhibit exceptional talent and skill throughout the match, making every game an edge of the seat affair for the crowd. This season, the Buccaneers will be playing at home against top football clubs such as Carolina Panthers, Atlanta Falcons, Philadelphia Eagles, Arizona Cardinals, New Orleans Saints and Baltimore Ravens. The Tampa Bay Buccaneers tickets are expected to run out soon. So make sure to catch the Buccaneers as they indulge in exciting football matches this season. In 2010, the Buccaneers became the first team to complete a winning season with 10 or more starting rookies since the NFL's merger. After the NFL merger, the Buccaneers were the first expansion team to play as well as host a ‘Conference Championship' game, win a playoff game and bag a ‘Divisional Title'. The Buccaneers are one of the three NFL teams that have won their only Super Bowl appearance. The Bucs were initially a part of the American Conference of the NFL, but switched places with NFC's Seattle Seahawks after one season. The Bucs made their most recent playoff appearance in the 2007 season.